Juan Ageitos promotes customer service that combines Artificial Intelligence (AI) and humans, while providing a chatbot warning. When people think of AI for customer service, they tend to fall into two camps. The first group pictures a hapless robotic messaging service that rarely understands them and is more trendy than helpful. For example, think of last century’s Microsoft’s Clippy or old-school IVR systems that could never get you to the right department. The second, more optimistic, group imagines a Hollywood-style AI that understands your deepest desires, and empathises and learns like a human. You might picture characters like Scarlett Johansson’s Her, who develop deep meaningful relationships with the humans they are supposed to be helping. Neither situation is an accurate representation of the technology available to customer experience leaders today. (Sorry, Joaquin Phoenix.) 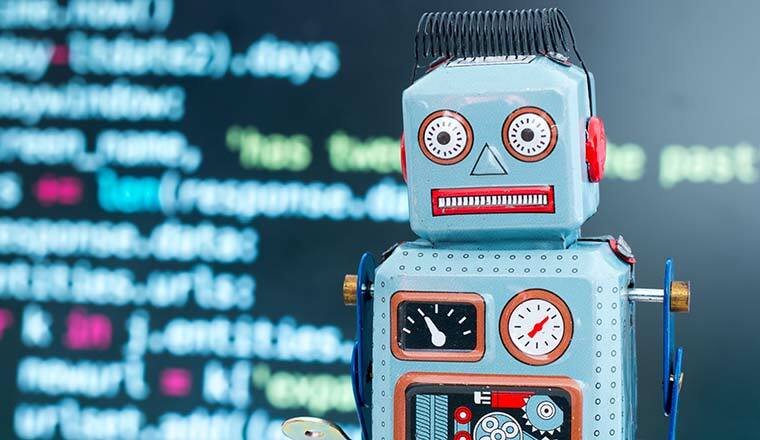 Organisations want to harness the power of AI to intelligently deal with increasing customer service volumes from their frontline teams, but they often end up dealing with less-than-perfect chatbots and annoyed customers. The problem is that rule-based chatbots are rarely able to perform beyond the very simple tasks they are designed for. So should companies be investing in chatbots or AI to power their customer experience? Well, it depends on the problem they’re trying to solve. In this article, I dive into the differences between chatbots and AI (so you’ll never confuse them again) and look at the limitations of chatbots in their current form. In reality, AI customer service tools fall on a spectrum, ranging from rule-based chatbots to pure artificial intelligence tools. On one side, chatbots are confined by what their programmer gives them. They’re like old-school text-based adventure games, where all the outcomes have already been decided, so they are easy to break once customers venture off the beaten path. On the other side, true Artificial Intelligence learns from its environment, making mistakes and correcting them. In the future, true AI may become so advanced as to learn at the speed of humans, picking up emotions and context much like a 5-year-old can. However, the abilities of today’s bots fall way closer to the chatbot side of the spectrum than human-like artificial intelligence. But that doesn’t mean that chatbots are a lost cause. Great chatbots handle very specific interactions very well. Requesting information in a structured way works wonderfully with chatbots. If you want your bank account balance, or the tracking number for your order, chatbots will return it instantly, saving customers the need to talk to customer service. Millennials are also happy to give bots a try, with 86% saying they are neutral or interested in purchasing products from brands using chatbots. 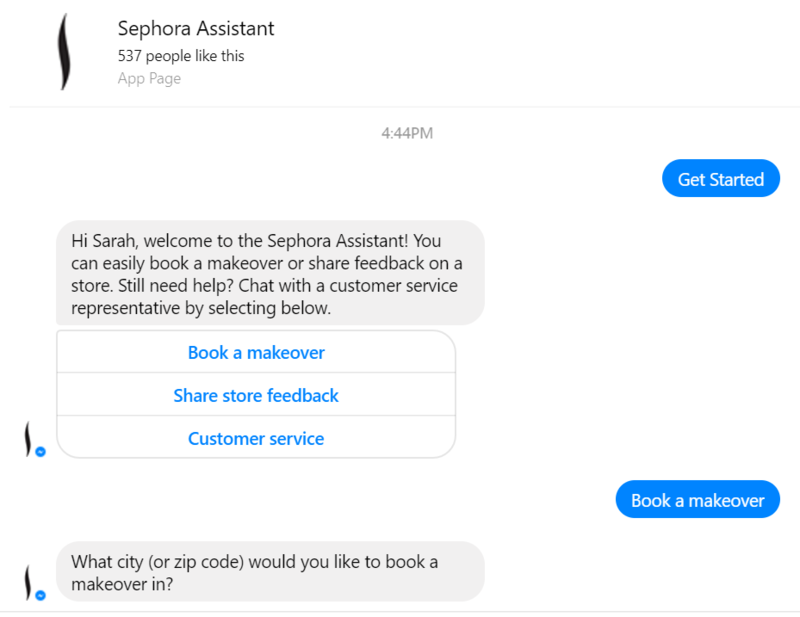 Sephora has seen excellent results from its online appointment-booking chatbot. Many retail companies have tried launching a programmed chatbot to deal with more complex shipping issues and customer service contacts. But initial results were not positive. Everlane, one of the flagship retailers to jump on Facebook Messenger’s bot platform, has rolled back to email-only communication after seeing a 70% fail rate. In fact, in February 2017 Facebook’s Messenger team decided to roll back their bot efforts to simply “training [Messenger] based on a narrower set of cases so users aren’t disappointed by the limitations of automation.” The future of personal assistants that learn and interact like humans is still far off. The problem with chatbots is that when they fail, they fail spectacularly. 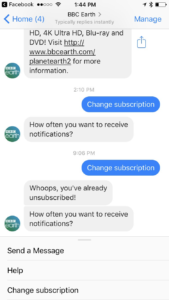 Instead of facilitating a smooth transfer from automated messaging to a helpful human, chatbots usually result in a Groundhog Day-style series of messages. This leaves customers more frustrated and chatbots with an even worse reputation. 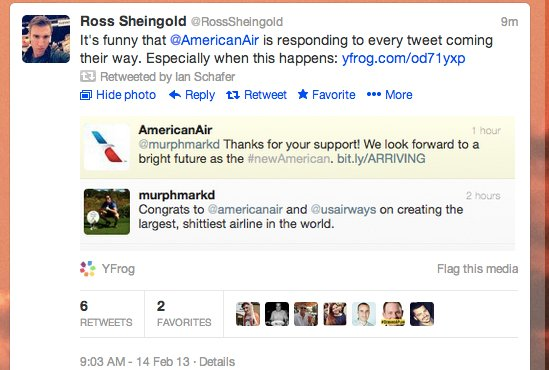 For example, in 2013, American Airlines tried automating their Twitter account replies. Anyone who mentioned @AmericanAirlines recent merger received a friendly “Thanks for your support!” reply. But obviously, they were trolled and ended up responding to every message, no matter how sarcastic or offensive. Even though automated messaging tools have come a long way since then, there’s still entire internet threads dedicated to #chatbotfails. The real issue is that the technology isn’t advanced enough to deal with uncertainty yet. While retrieving a tracking number seems simple enough, what happens if the order goes missing? How can a chatbot track down a third-party provider and determine the best way to get a replacement out to the customer? Imagine a customer service agent dealing with a sensitive fraud issue. Now imagine a chatbot trying to navigate the same issue. There’s likely a lot of emotions in that exchange that chatbots can’t handle yet. It’s difficult to anticipate customers’ preferences for dealing with chatbots. While over 50% of consumers would trust a bot to recommend a restaurant, only 5% would trust a bot to diagnose an illness (perhaps wise on their part). In fact, 30% of consumers don’t trust chatbots to assist with anything, at all. And that’s a bad sign for businesses experimenting with chatbots. Without the trust of customers, chatbots can’t provide effective assistance. Chatbots won’t live up to users’ expectations, and this means we can’t entrust them with providing an excellent user experience in customer service. 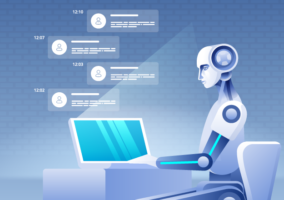 Where chatbots are rigid and defined programs, artificial intelligence relies on past learning and current agent interactions to adapt to broader situations. Chatbots will only be able to return rote information the programmers have provided them with. AI surfaces the best responses from historical data, and improves them over time using agent–customer conversations and agent suggestions. But that still doesn’t mean they should be left to run wild interacting with customers. Business see the best results from AI when it’s used to improve customer service agents, rather than replace them. AI-powered Intelligent Assistants are to customer service agents what calculators are to accountants. Accountants are very capable of adding and subtracting numbers, but using a calculator allows them to concentrate on the bigger picture and avoid mistakes. AI does the same thing for the customer experience. Anyone who’s worked in customer care knows how much of the day is spent in monotonous tasks: tagging tickets, searching databases and copy/pasting information to customer conversations. Delegating this repetitive work to machines allows humans to focus on the relational side of customer care. KLM’s AI-assisted customer service team is a great example of how the hybrid model works. 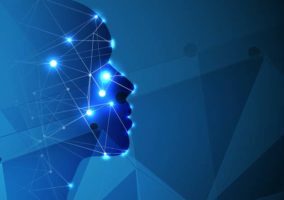 In partnership with DigitalGenius, they’ve used their historical data to train a neural network to help agents provide the best answer to customers. 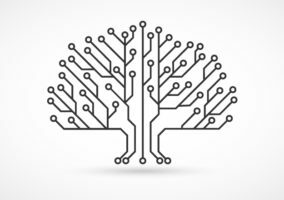 When a customer writes in, DigitalGenius analyses the message using the neural network that was created through training and points the agents to an array of answers sorted by their ability to produce the best possible outcomes. The agent can then personalise the response and send it along. DigitalGenius also takes care of the tagging and filing, so agents are able to move much faster between customers. While saving a single click might not seem that noteworthy, just think how much time agents spend adding over 20,000 tags every week! This is proven in multiple case studies. One global telecommunications business reported to Forrester that reducing AHT by just one second led to approximately $1 million in company savings. Why does the AI-assisted model work so well? It combines the humanity of customer service agents with the efficiency of computers, meaning you get the best of both worlds. Where chatbots fail publicly, AI-assisted conversations allow agents to intervene and prevent confusion. AI can provide the facts, and humans can use their ingenuity to delight a customer. Plus, a more efficient human means that your team has more time to solve difficult problems instead of doing the repetitive work. AI–agent hybrid models result in a more personalised customer experience over automated chatbots. Chatbots and conversational interfaces are already showing return on investment when employed for narrow tasks. Juniper Research estimates that businesses saved $20 million in 2016 thanks to conversational interfaces reducing the load on contact centres. While corporations remain enthusiastic about the ability of AI to replace frontline teams, the reality is that customer experience teams will continue to rely on humans to lead and manage experiences, with the help of their newly built AI-powered assistants. In the future, AI will focus on bringing power to the people. Combining AI with talented customer service teams results in higher response efficiency and a more personalised experience for customers. This is where companies will see the biggest return on investment.